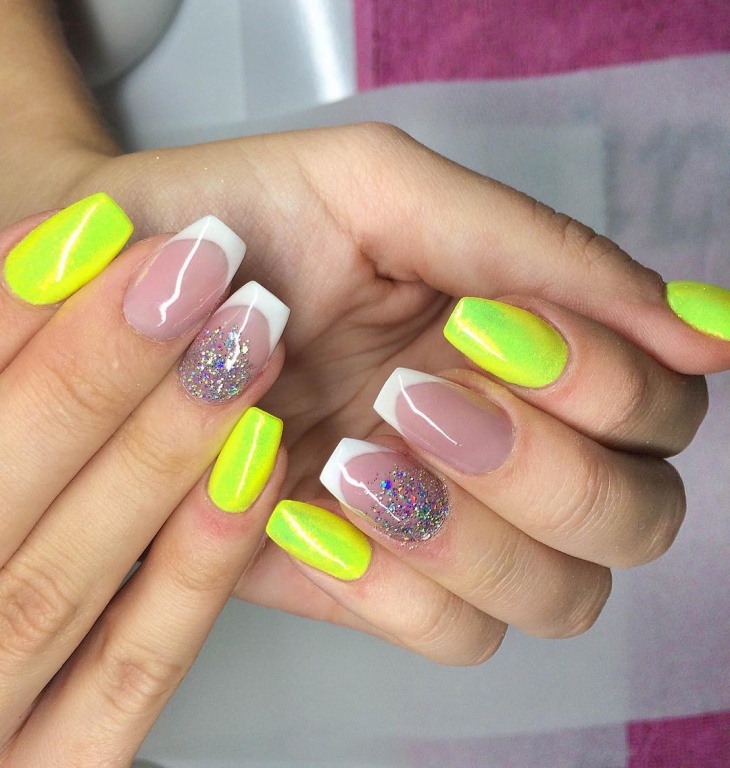 Nail art has gained immense popularity. Thanks to the creative minds of nail artists it has become possible to add different features in the nail designs. Gone are the days when your only options were the colors and simple designs (like half moon). 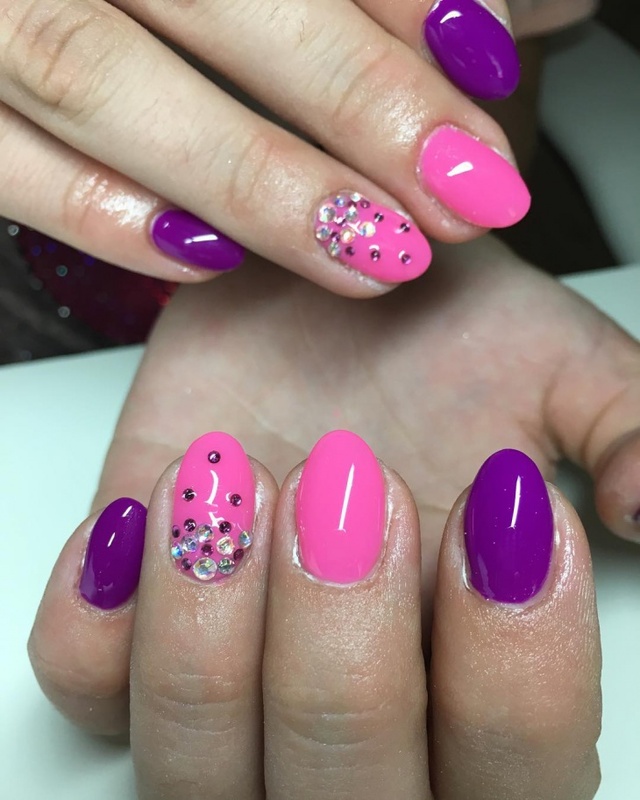 These days you can go for crystal nail art or Rhinestone nail art designs. You can also have your nails painted in different colors and choose a few where the features of your choice will be added. 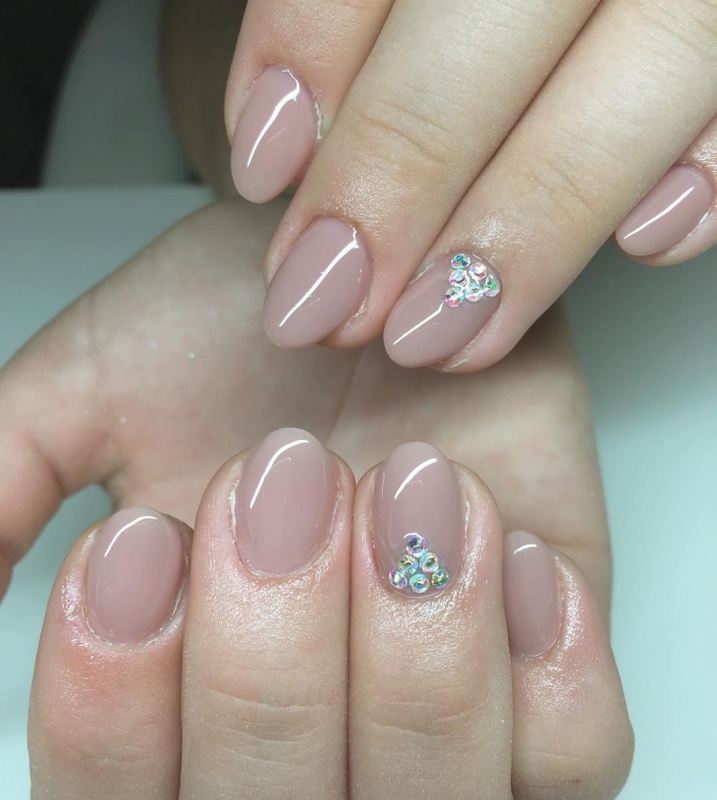 Baby pink nail polish decorated with Swarovski crystals may not be the fashion many decades ago, but is very common nail art design these days. The crystal can be added in one specific nail per hand. 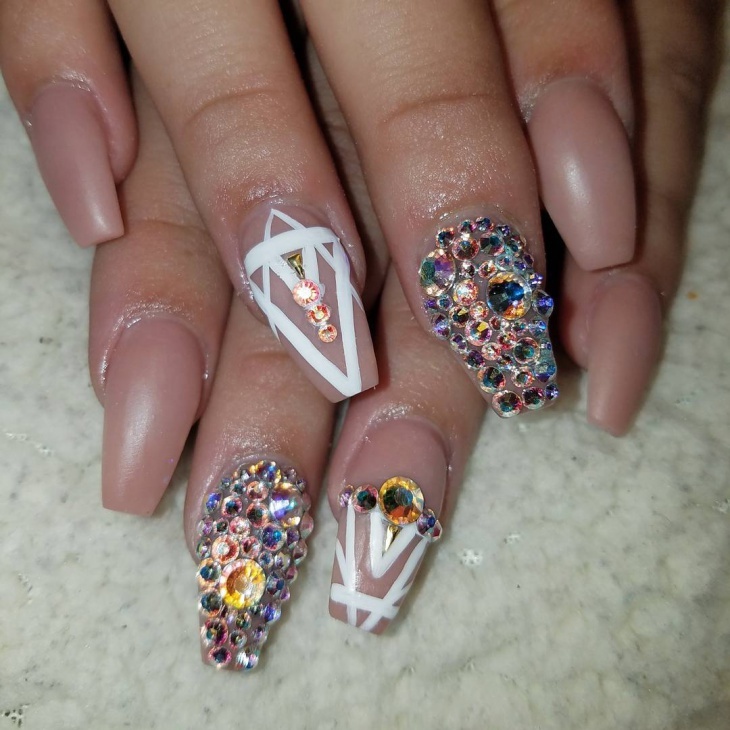 And for this image, one nail has the crystals in pyramid design whole another has a simple triangle. Pink and lavender are pretty colors. 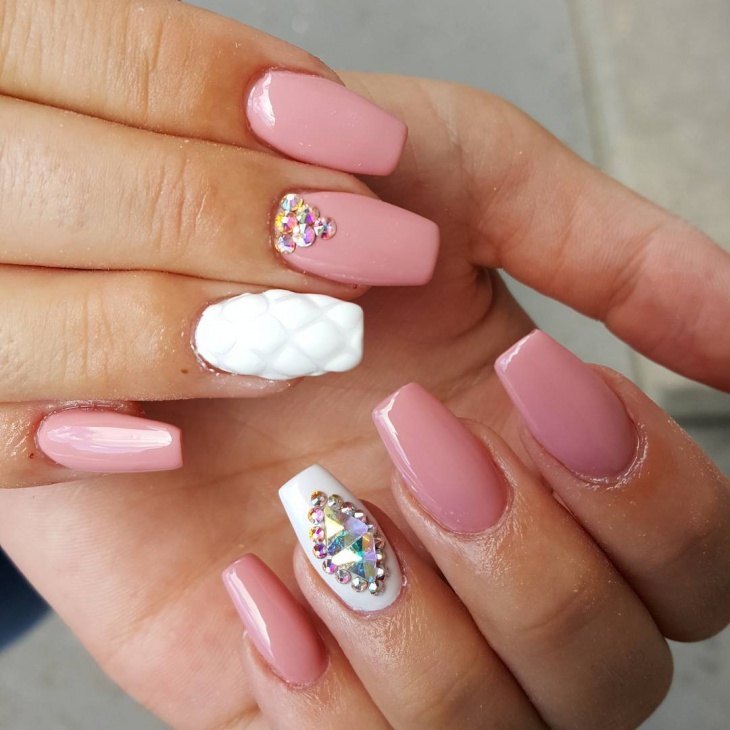 For this particular nail art design, these two colors were used, but only the pink ones are chosen as base for the the 3D nail art design. 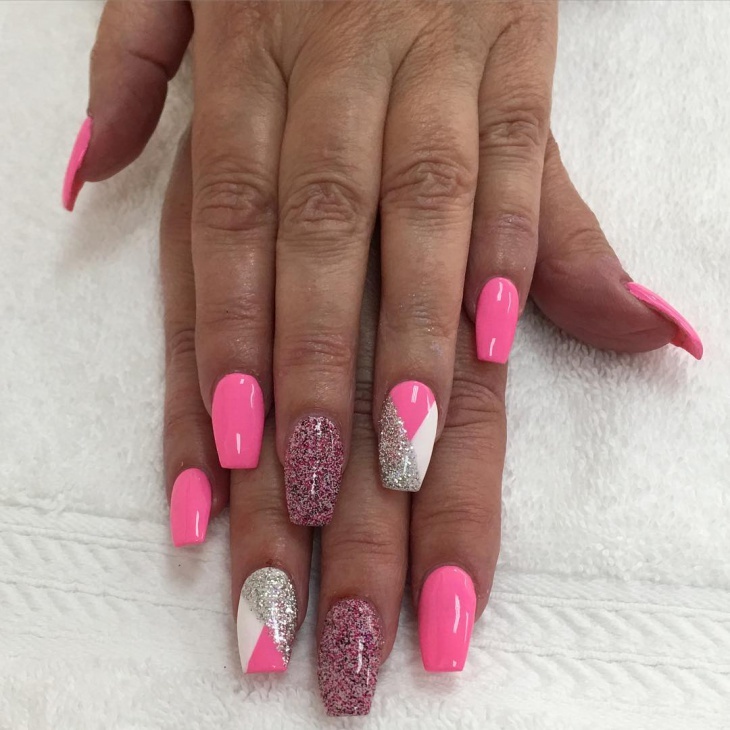 These pointed fingernails are painted in pink coral color. 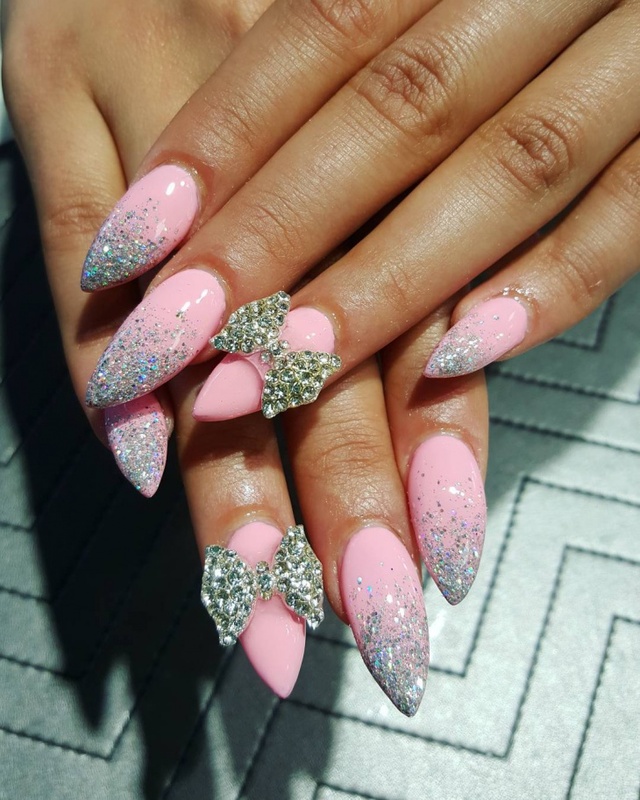 Each nail is designed with small sparkles at the tip, except for the two that are decorated with crystal bows. This is a perfect example of glitter nail design. Some women love variety. If you are one of them, then you would surely love to try this stunning nail art design. 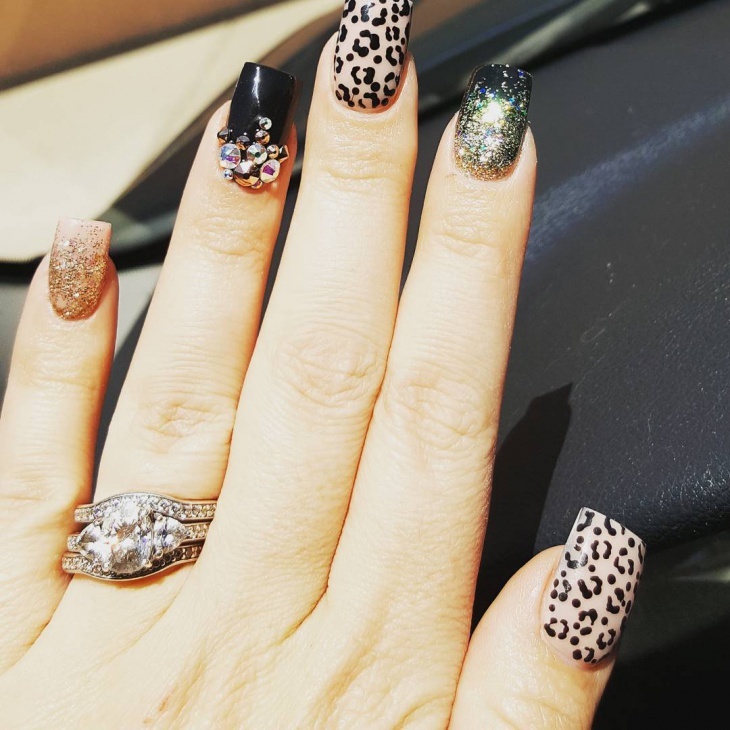 One fingernail has the gold nail design, two are painted black and decorated with crystal in different styles, and the other two have the unique leopard design. 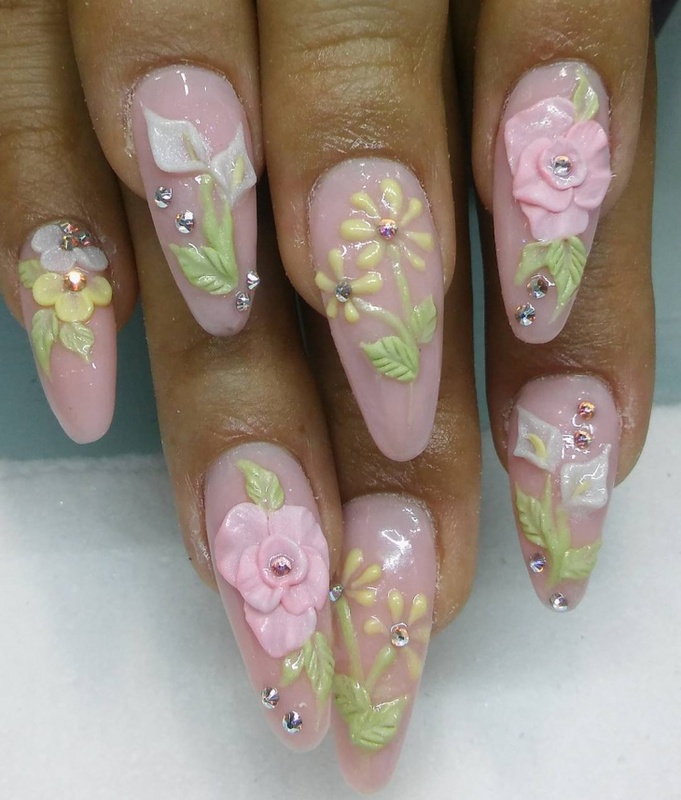 Nail art designs are not limited for the fingernails alone. Toenails are being decorated with these sparkling design, as well. 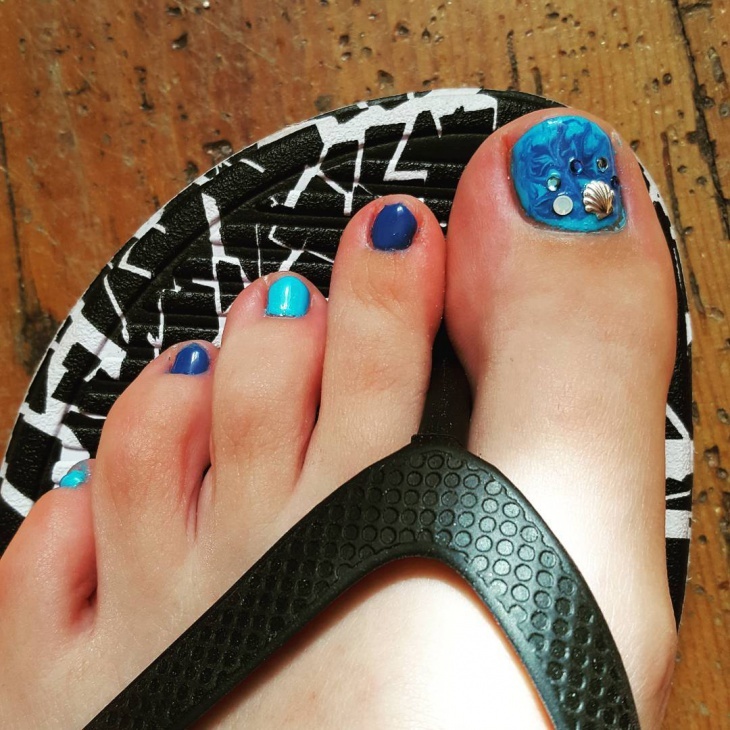 Check out this under the sea toenail design. The biggest toenail has the decorative features of a shell and crystals of different sizes. This is really beautiful design perfect for women who loves the beach. 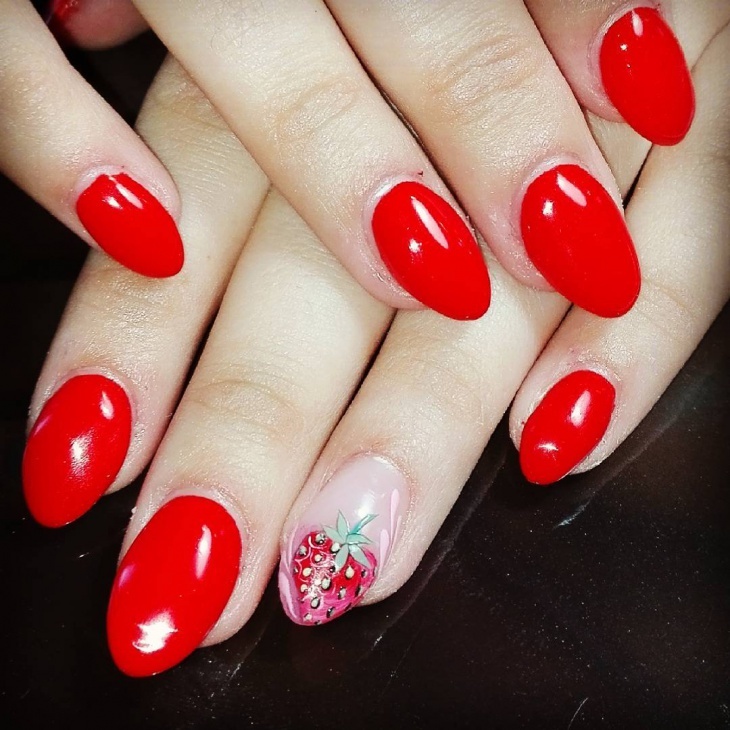 Red nails are the choice of powerful and daring women. 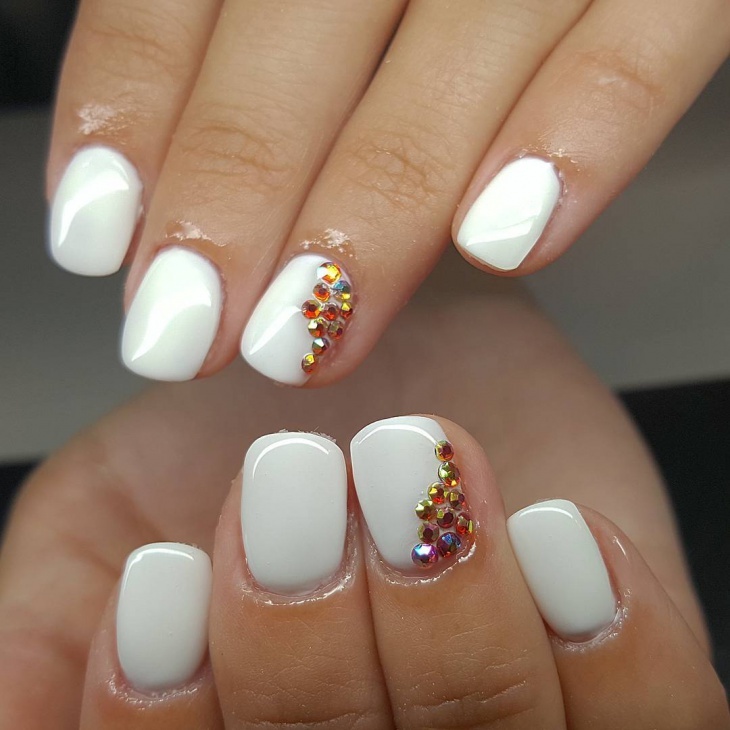 Adding crystals in chosen nails adds character to this almost simple nail art design. Light blue is another good choice of nail paint color. 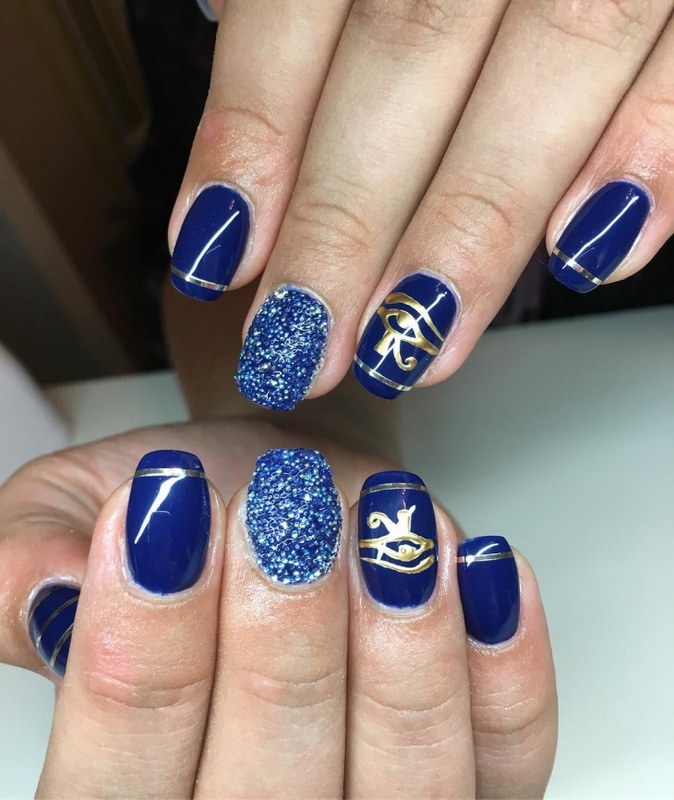 For this nail art design, the blue paint provides a nice foundation for the big design feature that houses the nice arrangements of crystals. 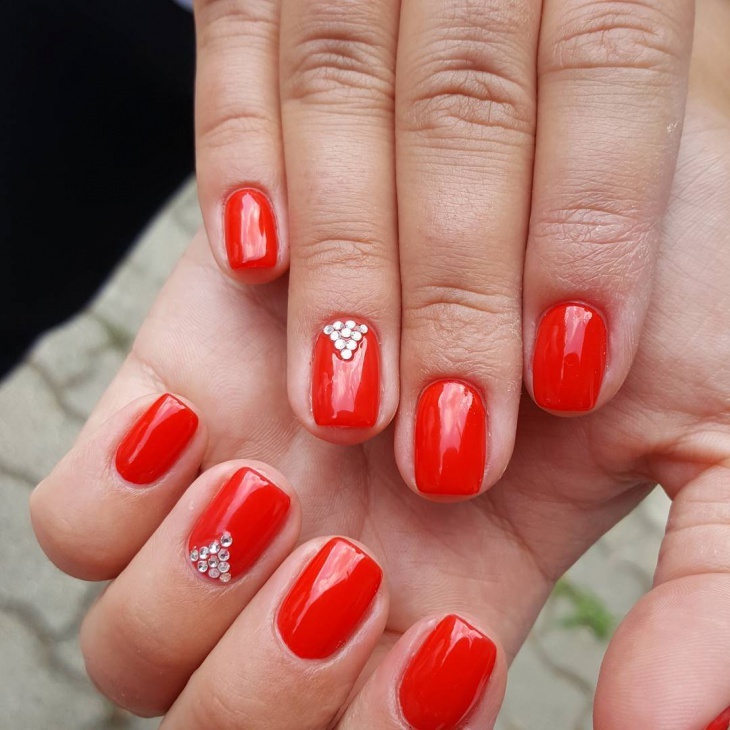 Rhinestones dominate these beautifully painted fingernails. The two designs are stunning and the arrangement of the Rhinestones are perfect addition to the feminine look. 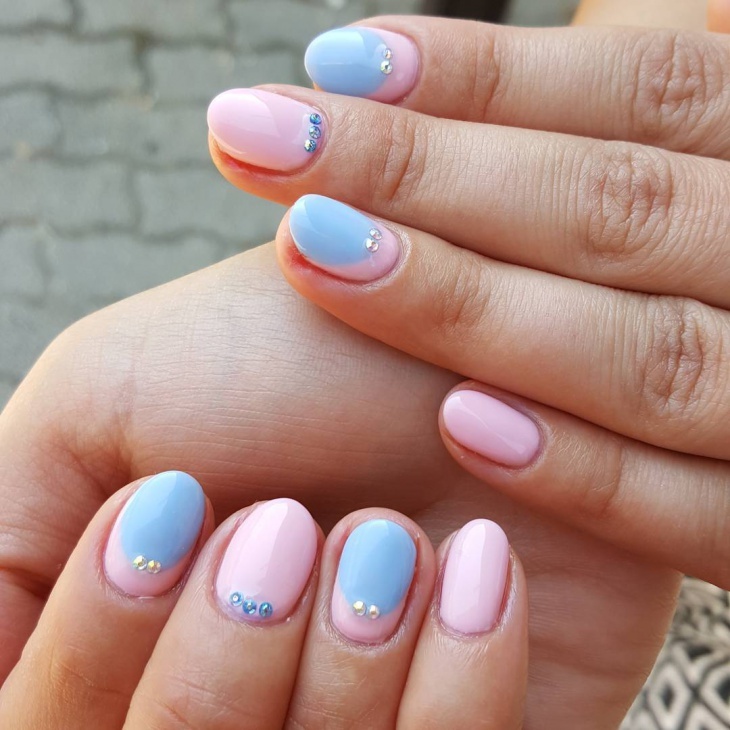 Baby blues and baby pinks are colors painted for this nail art design. The styling is very simple and the crystal are small though sparkling. Blue crystals over pink nail polish and clear crystals over the blue on pink painted nails. 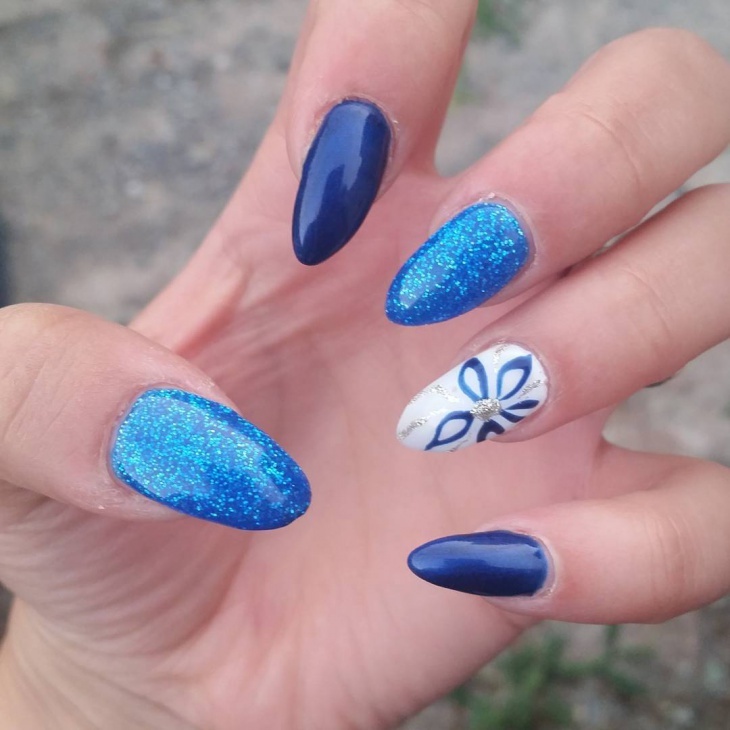 Shiny shimmering blue nails are the perfect option for women who likes drama. The stunning look of this design is achieved with the effective use of glitters and creative brush application. This is a specific nail art design for women who loves different designs but cannot chose one. 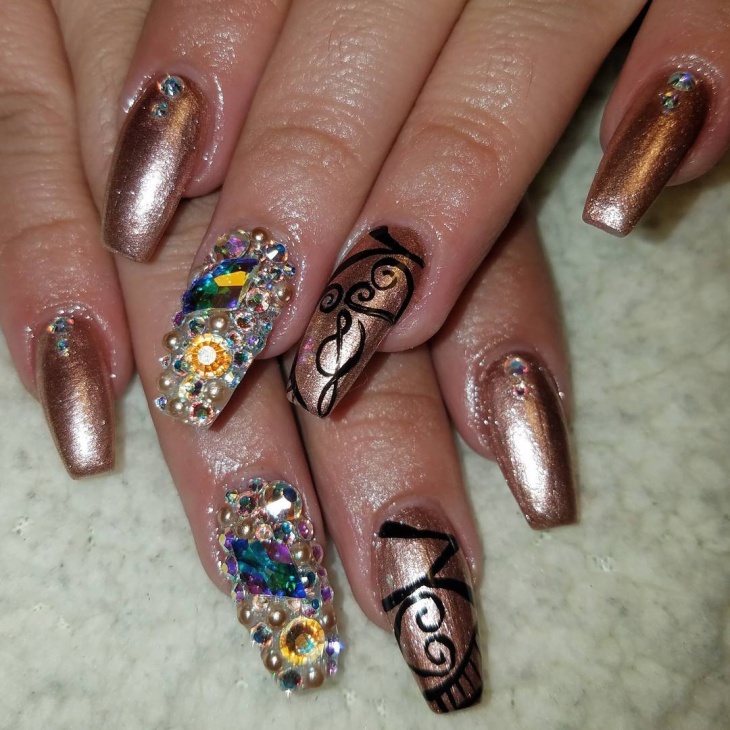 Choosing nail art designs is made easy with the availability of a variety of features that can be added into the design. 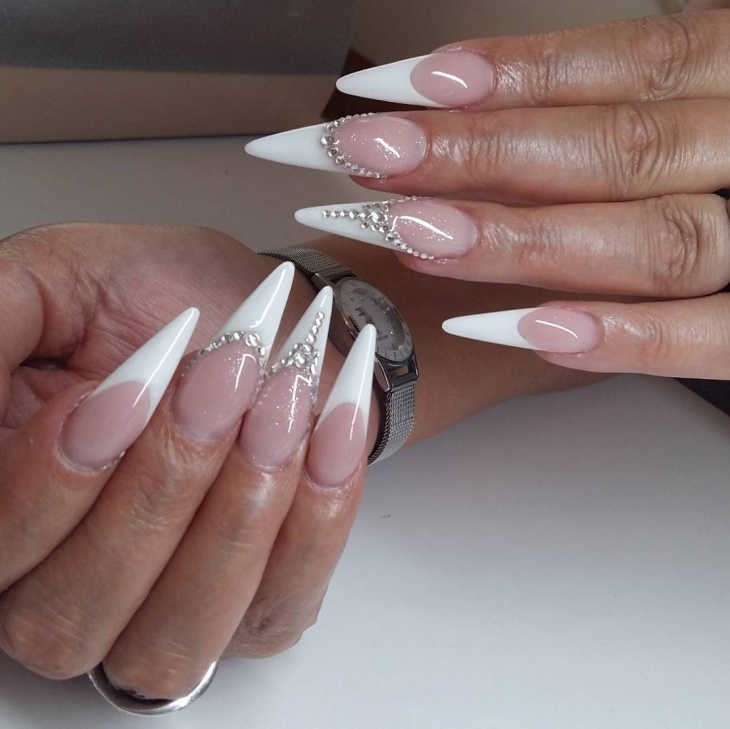 Silver nail design would be an ideal choice if you like sparkle without flashy colors. 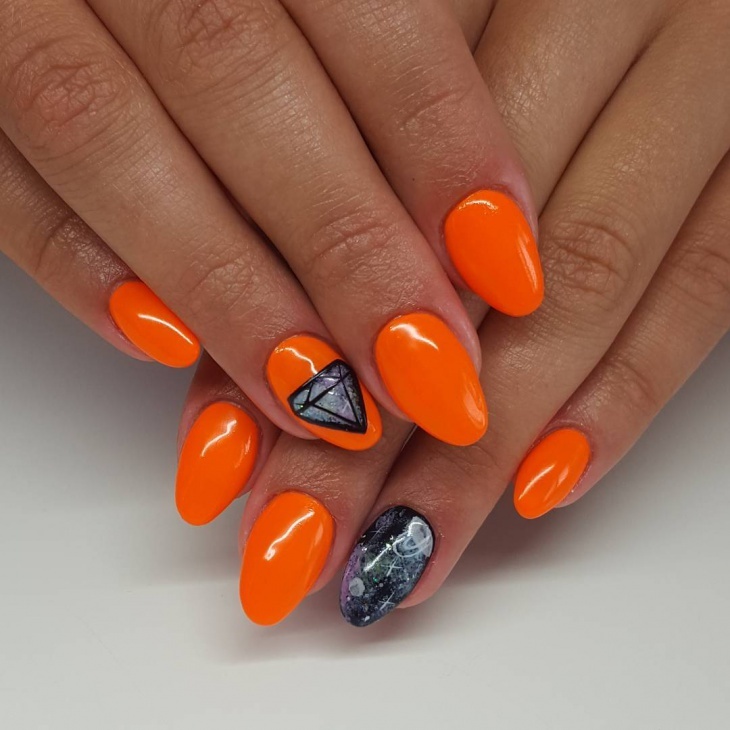 If it is colors that you are after, you can choose to have a design with nails painted in different or a combination of colors and added with crystal of different shapes, sizes and colors.